Approximately 10% of all adults who are hospitalized in the United States develop acute kidney problems. In many cases the problems are temporary, but according to the National Institute of Health, nearly 10% of those diagnosed with an acute kidney problem will end up dying of it. 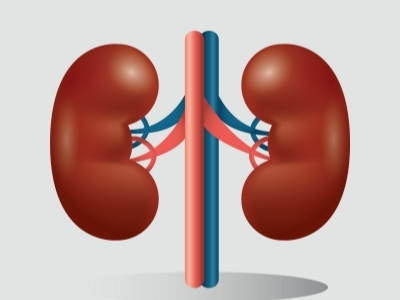 Acute kidney problems often occur when waste products begin to accumulate in the blood and the kidneys are unable to maintain a proper balance of fluids in the body. Hospitalized seniors, in particular, are at risk for this problem. However, new research by Dr. Samar Parikh, a kidney specialist at Beth Israel Deaconess Medical Center in Boston, and published in the journal Nature Medicine, shows that the final metabolized form of vitamin B3, known as NAD+, is a safe and beneficial tool for helping to protect — and possibly restore — proper kidney function in patients at risk for this serious condition. Dr. Parikh’s initial studies demonstrated that patients who underwent major surgery (and were consequently more likely to develop acute kidney problems) had reduced levels of NAD+. Further, he showed that a simple urine test could indicate kidney impairment, and could therefore help predict which people were expected to have a poor outcome. In clinical trials, it was shown that supplementation with NAD+ had a beneficial effect on those at high risk. Although much research must still be done in order to decrease the risk of acute kidney problems, it is important to take note of the importance of nutrition in maintaining good health. At Atlantic Coast Healthcare and Rehabilitation Center, in Lakewood, NJ, our attention to every detail of our residents care is what helps us achieve the best outcomes. And good nutrition is an important part of that. Our master chef and the entire staff of culinary experts work with a registered dietician to ensure that all meals conform to the individual dietary restrictions and requirements for every resident. Our meals are designed to please the palate and the eye: they are not only delicious, they are also elegantly served, using fine china and utensils.